I am sharing my experiences though I have in the past reported them all, and had them published on various UFO research sites. My intention is to link all my encounters together, so others will see what I have experienced and not just one sighting or encounter..but the whole reality of it all. What we don't know has kept us from our true potential. The truth can be shocking and it can hurt. The truth has opened up many eyes to what we are kept from, but it also opens up the ones who come forth to share..to be victims of slander, ridicule and misleading information. Less than a year old..my parents had me with them outside as they did yard work during the summer days. I would sit there in the grass admiring all that there was and all so very new to me. 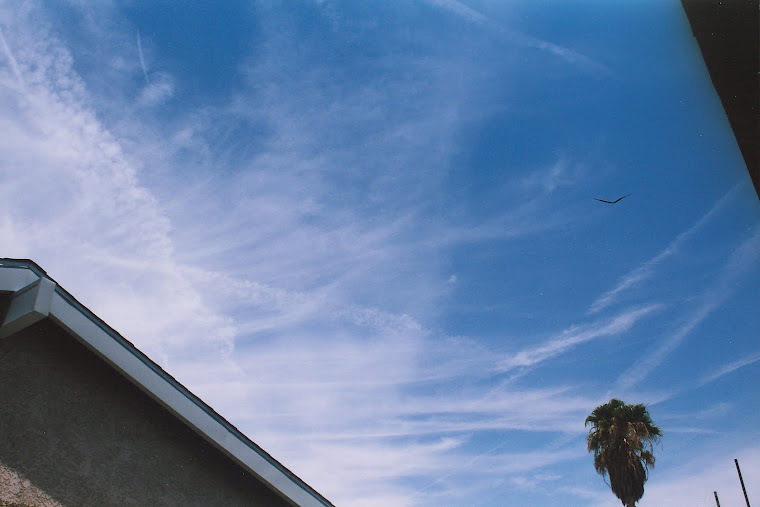 I had already learned much and could distinguish objects in the sky...such as plane...cloud..bird. I could not say them but I did know what they were when spoken to me.Thanks to being outside lots and my mother talking to me and telling me things, I had already "some" understanding of what I could see. But..one thing she hadn't mentioned and never did were the other things that I could also see in the sky. Those which I saw, I was not taught the word for and truthfully everyone seemed oblivious to them as I would sit there and see these things that were not clouds..nor planes..
For years, what I was seeing was almost creature like..or crafts that almost seemed to be alive..as they Morphed..and changed in shape..color..texture..and even size. They would not be there often, compared to how much I was outside, but enough for me to take notice. Some were very big..and made me think of the giant whales that swim in our oceans..I was aware of whales, but understood them to live in the water..not the sky. I continued to see these crafts/creatures in the sky for about three more years..while I was slowly learning about life.. There were times that I would ask of these, and no one would understand what I was referring to..so..I let it be. I had much to learn..and other things would eventually capture my eye...and mind. As time passed I began to see other things that didn't fit into what I was being taught. I was soon to realize that not everyone could see as others do..
My childhood years took me to understandings that not everything was as it seemed. "Paranormal"...was a word that I had not yet learned but it was certainly all around me. BUT I will not lead away from the topic of my experiences with extraterrestrial occurrences. I only mention it, as it is part of what makes me who I am today. Growing up, I had a tough life..not really fitting in anywhere...be it school or sports. I was always the last one to be picked on a team but always the first one that would get picked on. That too, help me grow as a human, as I began to search within myself at a young age. I found comfort and happiness in who I was and I did not let it bother me as it could have. If I was to let the others get to me...I was sure to have been a troubled child. Luckily for me..it turned out that I was a far bigger person at a young age, than I could see at that time. Having a fair amount of time alone..and not playing with lots of kids..I did take the time I had and used it to grow..and learn..and discover. Never being one for television...I found happiness with the outdoors..in the sunshine..and under the stars. I had a great love for nature..and being in the wilderness. I found much comfort in the night sky. Now eleven years old...I was struggling through elementary school. Much of what was expected of me, I had no understanding of. It all seemed to be just garble...thus...I was not doing well with marks in class. I made it through another year of school and I was sure that I was passed to the next grade because my teachers did not want to deal with me anymore. It was now summer and school was out..the time I loved the most. I would get up early with the sun..and get on my bike and ride like I owned the whole city. No one would be awake yet..and very little traffic. Half way through the summer...I had something happen, that opened my eyes to things I really had no clue about at the time. It was mid August and the summer was hot...the night was still very warm as my father and I sat on the back step talking and looking up at the night sky. We lived on the edge of the west side of town..so we got to see far more stars than we would have, if we were more within the city. It was right after my father went inside that I noticed something in the sky...off to the west. I really couldn't make sense of it as it wasn't like anything I had ever seen. Initially I had thought what I was seeing was a very large plane..but as it got closer I knew it wasn't. I then thought maybe a very large helicopter but..soon saw that it was not one of those either. What was approaching was nothing I had even seen in my life..and I could not help but notice how large it was..I kept thinking to myself.."This can't be right" as it was too large to be able to fly. I watched this craft for a very short time..when I realized my father had not come back out yet..and..he was missing seeing it. I began to yell for my dad to come outside. 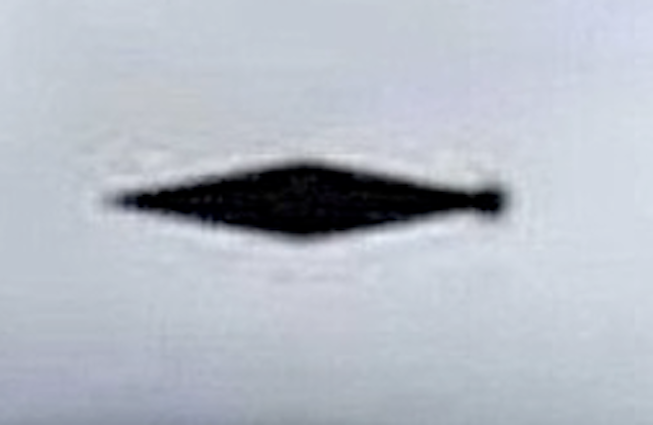 This craft, was a rectangle shaped craft that may have been miles big, as it covered 3/4 of the sky if not more once it was near above me. I was now yelling louder and yelling more, for my father to come out.The craft directly overhead was so very overwhelming in size. I could not see any detail to it, only that I could see it very clearly against the stars. 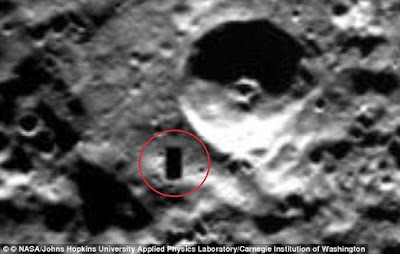 I could see how straight the craft was..and how it was a perfect rectangle that may have been 2 miles long. The feeling that I got from it and still do is how small I was, how small everything was, as it's massive size seemed to dwarf everything. 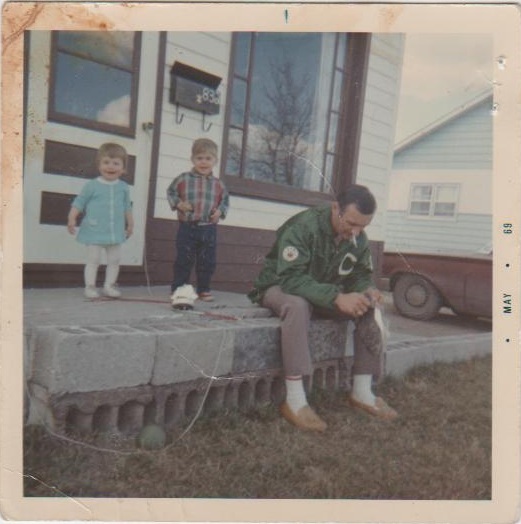 It seemed like a long time that I was yelling for my dad and he had yet to come back outside...I found it strange that though not being 10 steps away in the kitchen, he was not coming outside to my calling for him. I finally ran inside and grabbed him and said you have to see this. I dragged him outside,running and down the steps.I said "Look! "...as we both looked up, I saw that the craft was now gone and I was sure it could still be seen leaving...I said "It's in the front!!" as I ran around the house with my father, only to see a clear sky, bright with stars. The craft now gone. It was then that I put it away in the back of my mind, but I never forgot it. I could not make sense of it nor could I explain it so I wrote it off to it being military. (I never accepted that, but had no idea what it was.) To date 30 years later I still have no evidence of anything that is man made..that it could have been that massive and in the sky. Growing up where I was, I had ample opportunity to go to the near by lakes and camp. My parents had a trailer that we would keep in one spot all summer. We had been to that lake the year before..so I was familiar with the area that next summer..It was in the Parkland Region of Manitoba. It was around 11 PM and I was too hot to sleep and so I had not even attempted to. The night was calm and the stars were out. It was all very nice...peaceful...and the scent was sweet from all the flowers and other plants, that summer brings. I decided to go for a walk and try to cool off a little bit so I left the campsite and started down a dirt road that was behind a row of cabins that were along the lake shore. There were very few up at the lake..it was the middle of the week and unless on holidays, no one was around. I continued walking towards town but still I was by the lake. Two men suddenly got out from the passenger side doors.They were dressed in black. They had black suits, shoes, ties, hats even black sunglasses though it was night out. They had white shirts on too..which allowed me to see that their appearance was not right. Their skin was almost a light blue color..and odd looking. Certainly not right. I began to struggle when I quickly realized what was taking place. I was being forced into a car in the middle of the night.. by total strangers. They had me up to the car now as I struggled even harder and put my feet out and tried to push myself away from the open door. The struggle lasted maybe a minute or two. I am not sure how long, as I was fighting for what I thought to be my life. Finally they over powered my resistance as I tried to get free...and the forced me into the back seat of the car. I was now sitting in between two of the MIBs. I could not see out the side windows only in front..where the dirt road was. The driver looked back...and for a few seconds it seemed as though the three of them were having a conversation..except they never spoke a word at all. The driver nodded once and then the car began to move. The syringe contained a clear, dark golden liquid. I could see the contents very clear for being where I was as he held it out in front of him. I then realized that it was meant for me. That is when I began to struggle again...even more now. I don't know how long I was out for but I did regain consciousness for a short time afterward. I thought to myself..."Oh, I am still in the car" as I could see a road below me. But, it was not right..what I was seeing did not make sense to me. What I could see was a road curving along as we "flew over it". I was about two to three hundred feet above the road. I could see large rocks on the shoreline..but it was not my lake that I was seeing. It appeared to be a large body of water such as the ocean. The waves were of fair size as they crashed on the large rocks and it gave me the impression I was very far from home. It still would take years...till it all came together, till I figured out that they were greys that had taken me and made themselves appear as MIBs. I still cannot explain all of what happened that night, but I do know that a man in my hometown had the same type of experience with what may have been the same MIBs, 30 years before my encounter. His took place in the early 50s and it did involve a silver disc. Sometimes I would see strange lights in the sky..but mostly stars and meteorites..nothing of of actual substance..
Ending my teen years..I soon moved away from Manitoba..and went west to become and on-air announcer (Radio DJ). It was there that things started to make me think a bit more on what I had seen in the past..and what I had experienced. I was broadcasting to a network of radio stations via a satellite in space. We had ten radio stations that I would be sending our signal out to and these communities covered most of Alberta and part of norther B.C. No one was calling to request a song though. Not one call, could have been further away from each other. These people had called to find out what they were seeing. 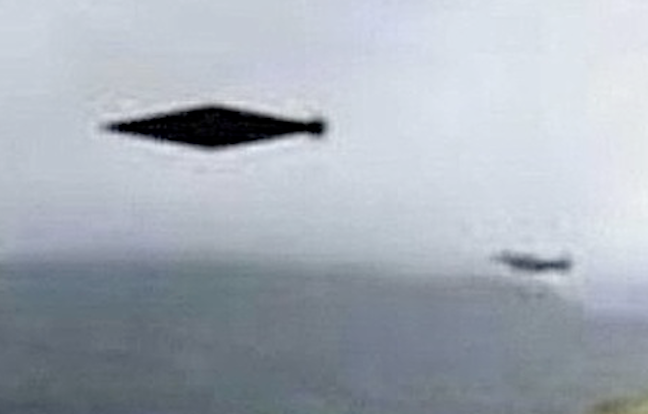 They were reporting a giant triangular craft that had incredible speeds....and from how close the phone calls were and for how far apart the listeners were from each other....the craft was traveling well past the speed of sound. it was only seconds apart from areas that were very far away. I became excited...thinking that there was something big going on and all the thoughts of what I had seen and experienced all came rushing back as I kept going to the windows and watching the sky when I was playing songs on the radio. 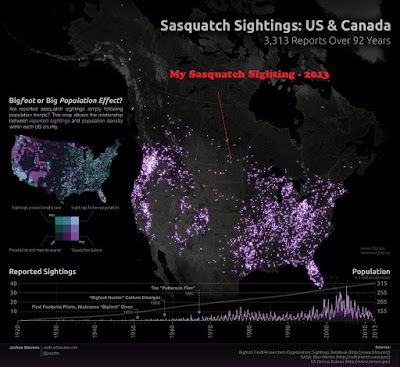 I never saw anything that night..but I did call up all the places I could, including air force, air traffic, RCMP...all with nothing in the air..and nothing abnormal seen by air traffic controllers around the whole area. Again...I buried the past and continued on with what I knew. 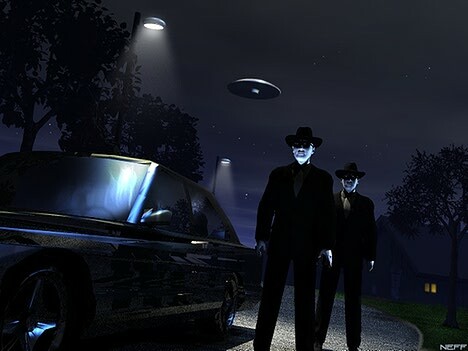 UFOs were still far from being an very active part of my life. The weekend had been wonderful and I was sitting watching the sky at around midnight, my girlfriend with me. I noticed a strange light in the sky and really I had no idea why it had caught my eye. It appeared the same as the rest of the stars in the sky, but I kept watching and not taking my eyes off it. Soon my girlfriend asked what I was looking at..and I pointed it out to her. I stood up quickly when I realized it was not normal to see what I was seeing. It continued down toward earth very fast and then as it got closer to the ground it seemed to slow down. I then lost site of it in the trees but thought about it for the rest of the night...wondering what it could have been. To date...I still have no answer that fits. June of 2002 found me heading back to my hometown in Manitoba...after being away for 14 years, except to visit. I had close friends..that never left there...and so..I found it time..to go back to be with them. The summer was full of catch up and seeing old faces...laughing and enjoying all my friends company. One of my best friends was hanging out at a lake that was not far from my MIBs encounter...and I started to go out there fairly frequently. That is where the my encounters began again.. It was August of 2002. The entire summer had been a hot one...and August wasn't any different. Disregarding the heat...Two friends and I decided to go out onto the lake and do some fishing on the boat. We had being trolling on the west side of the lake when we decided to pull up our lines and head to across to the east side...to a point that jutted out...it was directly south of the campsite. We were having a good time...all three of us talking and laughing...My two friends inside the boat..as I was standing on the front nose of the boat. We had shut down the engine and were just casting out as we let the wind drift us along. After a few minutes...I was still casting out..when suddenly there was a strong gust of air. Knowing it was mostly sunny...I thought that there was a cloud that may have caused the wind. I reeled in and then looked up. I was very shocked and surprised about what I saw above me. There in the sky approximately 250 to 400 feet in the air was a silver disc craft. My mind started to try to make sense of what I was looking at. I went through all that I could think of..the moon..a balloon..a reflection of some sort..and so on. None of what I could think of..was what I was looking at above me. It was then that I yelled to my two friends looking at them and then back up at the craft. I stood there my mouth wide open and not believing my eyes.. I looked back at my friends..and I yelled again.."Look up there..there is a silver disc"! I don't even know if they heard me...as they seemed to be almost intoxicated..or drugged as they fall all around the boat. I yelled again at them..and they seemed incoherent to what I was saying...The strangest thing about them falling about the boat was that, it appeared to me to be happening in slow motion. They were falling slower and moving slower than what was normal. I looked back up at the craft..I was feeling very strange from what I think was the energy of the craft. I stood there watching..and forgetting about my friends..and focusing on the silver disc right above us. I watched it for a short while longer..as it sat there. There were no markings..and no sounds...and no lights to it.. It did not make any sense to me...ALL of it seemed so..out of this world. I stood there for a few seconds..still in shock..and still trying to grasp what had just happened. I looked at my friends..who seemed to be coming out of a different state..and they looked almost confused. I tried to talk to them about what had happened..but..they either do not know...or they refuse to speak of it. It was a quiet ride back to shore..
That encounter was now over..but..the effects were still there for me. For the next month I fell ill..and lost appetite..I began to lose hair as never before and my teeth started to loosen. I was feeling very ill. The effects I was enduring was what I thought to be a type of radiation sickness and I very quickly realized that..being directly under the craft had caused the effects. I was sure I was going to die..and felt that I could not go to a doctor and tell him..as..I would be seen as crazy. So, quietly I sat with my secret and said nothing to anyone, enduring the pain and agony and fear of what was happening. For a month I tried to make sense of what had happened..with the silver disc. Maybe it was me that was in the energy from the craft and it was not my friends falling in slow motion..but me in slow motion..What ever the case..I was not in sync with them. It would explain their not appearing to have ill effects from the encounter. What ever the case, I was more ill then I had ever been. It was some time that passed, at least a month or maybe two..and the effects began to subside slowly..until I was as close to back to normal..Well..as close to normal as I will ever be again..I now know better than to find myself under one of those crafts. It was then, after I started to feel better..that I began..my search for the truth..to UFOs and ET. Little did I know that after all events up to this point...it was only the beginning of things to come, leading up to the present days and more encounters. Part two of my close encounters can be found on this blog. It will continue to lead up to the most recent of encounters in my life. I read aprt 1 of your story a while back and keep popping back to see if part 2 is on here. I can`t wait for part 2 Please can you let me know when you put it up on this site. 2010 was an extremely odd summer for me. I am looking forward to the 2011 summer. I have shared a life-long series of experiences much the same as yours. They began when I too was only a small child and I understand the "morphing" of the objects beginning at a very young age. The objects no longer need to morph for me. In fact, we seem to have developed quite a close relationship. People close to me have all been able to experience these encounters...including my little girl, my husband, my friends and even my beloved Dalmation. When I travel "they" always show up on the first night of my stay. They also show up during times of extreme turmoil in my life and sometimes to ease my pain. It is extremely difficult to talk about and to write these words. All I can say is that it is like having another life in another state of reality. It is sort of like trying to explain a dream that is very real but most of it remains hidden beneath the surface of your conscious mind. Yet...much like a dream you still remember, you still KNOW many things that go beyond our understanding of time and space. I admire you for being able to share your story. There are probably many more of us than we would ever imagine...Thank you! Interesting views, much has been hidden and continues to be hid. An intersesting website www.theeaglefoundation.co.uk has taken the book called Hercolubus Or Red Planet,which talks about superior life forms on other planets, into schools and colleagues - it has now been read by 4 million students. This is taking these ideas out into the mainstream society and inviting the readers to explore for themselves, to make up there own mind about this. I enjoyed reading your story. I can relate to a few things in which you went through. The part where you were a small child and could see things in the sky on a summer day yet no one else knew what you were talking about. I to was a small child on a warm fall day. Relatives came over that day, a Saturday I believe it was. They all got together, Grandparents, Aunts and Uncles, cousins.....they were raking the fall leaves up in piles and burning them. I was just a small child and it was fun having family over and playing in the leaves was fun. But as the day disappeared and the night sky started to appear...I saw things in the sky. There were many of them flying overhead me really fast. The would change colors...beautiful bright colors. I pointed to the sky and asked to my relatives.."Do you see it?" "Aren't they pretty?" Yet no one bothered to recognize what I was trying to say to them. They did not even acknowledge that they heard me at all. Then came the sickness...i became very sick as a child, constantly in and out of the emergency room with all kinds of illnesses. I was so sick at one point the doctor told Mom not to bring me to the emergency room because if I caught any kind of illness on top of what I was already going through, he was concerned that I might die. As for MiB....well....there was a time when I was in the emergency room, I was probably around 4 years old. I was very sick and my parents left me in the room with the nurse to go get something to eat. I was lethargic and extremely dehydrated from a sickness I had. Everything I ate either I threw back up or it went straight through me. While my parents were gone...a man in a black suit with a black hat on came in and put his hand on me. When my parents returned to the room I was laughing and playing and showing no signs of sickness what so ever. My parents asked the nurse what happened and she said a priest in a black suit came in and prayed for me. They released me to go home. There was another time that I was sick and my mother sat me beside a window to get sunshine while she went outside to hang out clothes. The man came and visited me then too. I was around 3 or 4 years old. I remember that I floated out the window above the clothes line. I could see my mother hanging out clothes and I was calling her name and laughing. She could not hear or see me. I told her later that the man in the black suit came to visit. She said it was impossible because the doors were locked and no one could get in. These are a few of my encounters over the years. Growing up I always was interested in U.F.O. 's and the paranormal. I was always searching for an answer. I am 54 years old now...I still search for it. I'm a Christian. I believe that I was created by God. But that doesn't erase the encounter I had one night in 1998. It was about 2 am and I was standing on my friend's porch smoking a cigarette out in the countryside of Sparta, TN. Without warning the air temperature rose substantially and there came an illumination from behind my head in the sky. Just as I was going to turn to see where the light was coming from, the object emerged from over the top of her house. It was moving very slowly, it made NO sound, it was illuminated from the inside out (a soft white glow), it was shaped like a cylinder or cigar (long as a football field and about 2-3 stories high), it was so low to the ground that the top of the trees bent with the wind it was producing. The wind was warm. It was INCREDIBLY long, and within seconds it went from sailing over me to being a mile away. The whole event lasted approximately 8 seconds and it was gone. My most vivid memory of it is the warmth of the breeze it produced blowing straight down. My hair was laying flat to my head and fluttering at the ends. The light coming from within it gave off an illumination that gave it's presence away but wasn't bright or far-reaching. Very localized as if it needed only enough light to reach the ground from where it was. The fact that it was so close to the ground that I could feel the breeze it made and yet it made NO sound whatsoever was shocking in itself. It was so big but moving so slowly at the moment I saw it that the law of gravity should have applied to it. It shouldn't have been up there. Nothing that we make could fly that big that slow accept a blimp I guess. That's my story. I don't tell people but I'm not ashamed of it because I didn't ask to see it nor do I understand it. I just saw it. What it was remains to be known. I just saw it and felt it. What is the name of the lake in manitoba that these occurances happen? I've never seen one, but I know a few people who say they have had similar experiences. I go to sleep at night looking at the stars and wonder what it would be like to live in a world where lies and deceit did not rule, and where people would appreciate the measure in value of knowledge. I've done some research and I just can't bring myself to believe that they DONT exist. There's just too much evidence "flying" around to not be taken into consideration. I would like to meet one of these ETs. Knowing absolutely nothing about them or their culture, it won't be anything i could expect... But it would be nice if the truth was more accepted, and taught. Thank you for sharing your story. 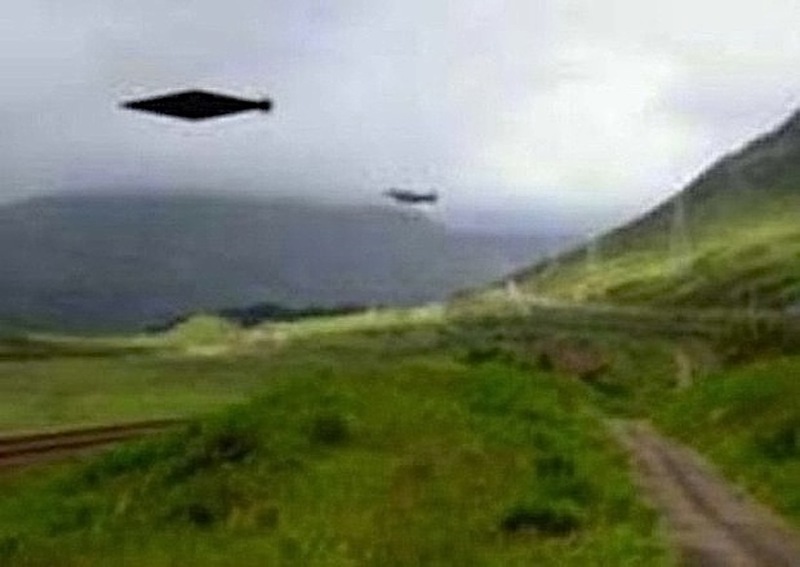 I have seen a few UfO's and experienced paranormal realities since childhood. Starting with my parents being unsupportive of me I have felt, most of my life, kind of lonely and confused because so many people are in denial about these things. Now thanks to the internet and people like you sharing their story publicly the scales are tipping and exposing a greater reality. Also the potential for many fractured people to integrate their ufo experience is possible.